The use of in-car breathalyzers significantly reduces the number of alcohol-related vehicular deaths according to a new study led by University of Pennsylvania clinical scholar and LDI Fellow Elinore Kaufman. The findings, published in the May edition of the American Journal of Public Health, come as the Pennsylvania Governor signed a law making the devices mandatory for all persons convicted of DUI offenses, and a consortium of auto manufacturers and the National Highway Traffic Safety Administration (NHTSA) continues work aimed at potentially making such ignition-lock devices available in all new U.S. cars. 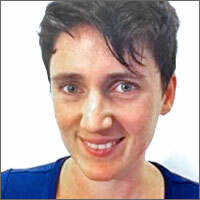 Elinore Kaufman, MD, is a Clinical Scholar in Penn's Masters of Science Program in Health Policy Research and a Fellow at Penn's Leonard Davis Institute of Health Economics (LDI). Kaufman, MD, a student in Penn's Masters of Science Program in Health Policy Research, is the primary investigator and co-author of the study with Douglas Wiebe, PhD, Associate Professor of Biostatistics and Epidemiology a Penn's Perelman School of Medicine, and LDI Senior Fellow. The study -- the first of its kind to assess the impact of ignition-locking anti-DUI technology according to crash death outcomes -- is the subject of articles in HealthDay.com, a news service that syndicates to Newsweek, Medline Plus and a host of other media outlets across the country and EurekaAlert!, a global publication of science news. The study's findings were also a key point in this week's Sunday Philadelphia Inquirer editorial about Pennsylvania's newly expanded in-car breathalyzer law. "Our findings show that by preventing intoxicated drivers from starting their vehicles, these ignition interlock laws can directly prevent drunk driving and save lives," Kaufman told EurekaAlert!. 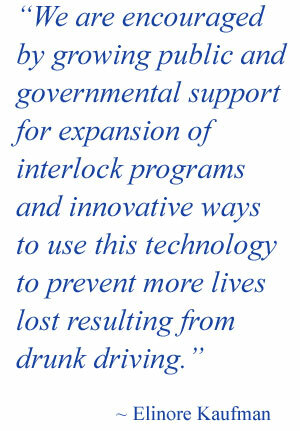 "We are encouraged by growing public and governmental support for expansion of interlock programs and innovative ways to use this technology to prevent more lives lost resulting from drunk driving." The study used NHTSA data to compare alcohol-involved vehicular crash deaths between 18 states that require all persons convicted of DUI to install "ignition interlock" breathalyzer devices and 32 other states that don't require universal use of the devices for DUI offenders. The mobile-phone-sized breathalyzer ignition interlock systems require a driver to breathe into the device. If the driver's blood alcohol level is above the programmed limit, the system automatically prevents the vehicle from starting. The study concluded that "requiring ignition interlocks for all drunk driving convictions was associated with 15% fewer alcohol-involved crash deaths, compared with states with less-stringent requirements. Interlocks are a life-saving technology that merit wider use." Twenty-six states now mandate the devices for all convicted drunk driving offenders, with Pennsylvania becoming the latest as Governor Tom Wolfe signed Senate Bill 290 into law last week. That measure doesn't take effect until August, 2017 (the state previously required only repeat DUI offenders to use ignition interlocks). Meanwhile, the NHTSA and 17 auto manufacturers including Toyota, Ford, and General Motors continue the work of the Driver Alcohol Detection System for Safety program (DADSS) aimed at developing in-car blood alcohol detection systems that could potentially be built into all new cars. The program's stated goal is to "explore the feasibility, the potential benefits of, and the potential challenges associated with a more widespread use of in-vehicle technology to prevent alcohol-impaired driving." The program's research is focused on perfecting two different kinds of factory-installed ignition interlock systems: the first is the standard "blow-into-the-tube" concept currently used in interlock systems. The second is advanced "touch" biometric sensing technology that can measure blood alcohol levels through the skin. Along with the federal NHTSA project, the issue of in-car anti-DUI devices is being strongly lobbied to policymakers by organizations such as Mothers Against Drunk Driving (MADD). MADD analyzes drunk driving data from across the country and, in the case of Pennsylvania, recently reported that from October 2003 to the end of last year, more than 78,000 in-state attempts to start a vehicle were blocked by ignition interlock systems. On a higher policy level five months ago, U.S. Congresswoman Kathleen Rice (D-NY) introduced a bill that would require all new cars sold in the U.S. to be equipped with ignition interlock technology within ten years. Drivers' attempts to circumvent these systems has also become a significant policy concern. Several weeks ago, the Governor of Virginia approved new rules that require all ignition interlock device systems to include a camera. The goal is to prevent a driver from having a sober friend breathe into his or her car's breathalyzer tube.